I found this great wrap top and I am so excited over it, the price is unbelievable and I mean unbelievable. 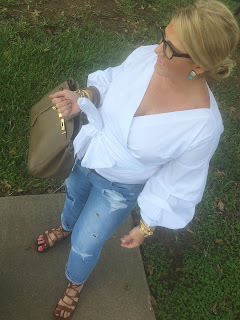 I think it looks great with my distressed jean, and fabulous with a pair of linen pants. 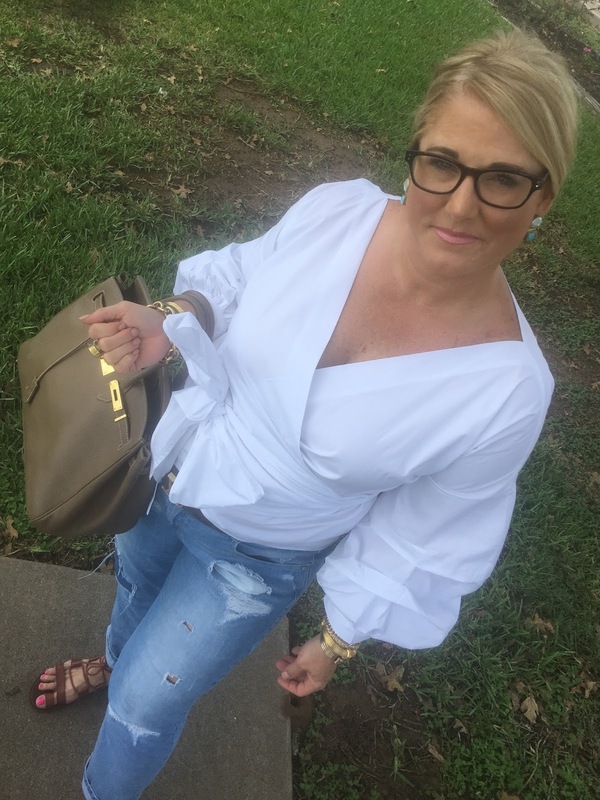 Find the white wrap top HERE I did size up to an XXL and it fits perfectly, normally I would purchase a L to an XL, I would say in this top to size up at least one size. I have these pants HERE that look great with the wrap top also, and they come in ten different colors. Mine is the Caty bag in the 14 inch size and Beige color with gold hardware. I love it!!!! The did gift me this bag and I have been loving it, and using it since the day it arrived.